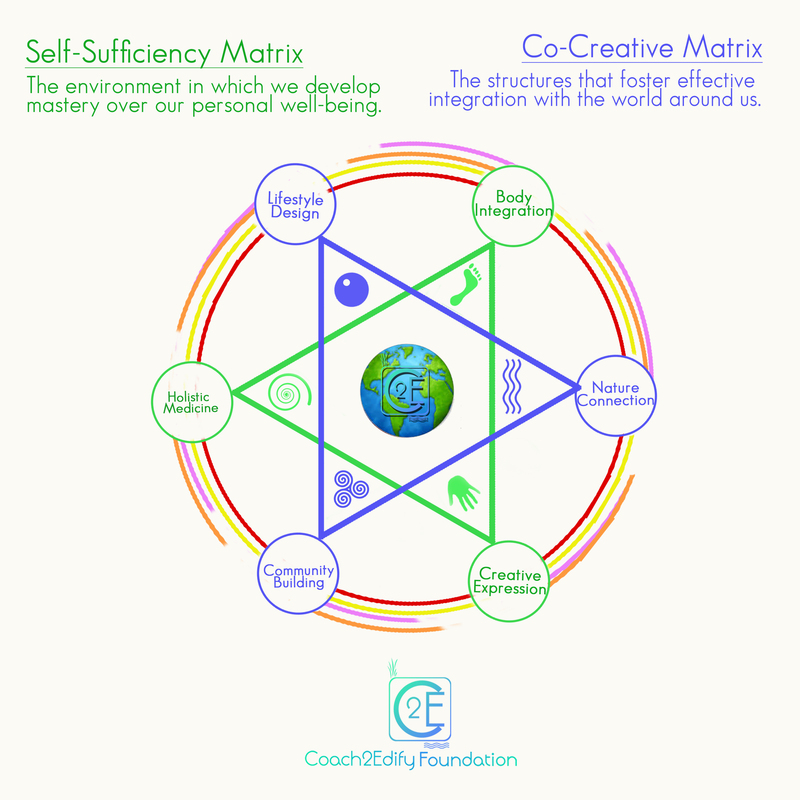 Coach2Edify Foundation (C2E) was founded in 2011 on the premise that stress promotes illness in our bodies and society. Our theory was that if stress is manageable with the right systems in place, our life can become stress free. We call a stress free life Heaven On Planet Earth (H.O.P.E.). We are not referring to having a problem-free life, but to our ability to navigate all the storms life offers with resilience and a good attitude that supports our overall health individually and collectively. During the last six years of research and development with this premise and theory, a template of well being has emerged which has facilitated a metamorphosis to hundreds of participants and benefactors. The word transformation is not an overstatement when a paradigm shift occurs and, suddenly, one becomes empowered to create a deeply loving experience with our body and the world around us becomes a compassionate place, regardless of the non-sense that is happening around us. 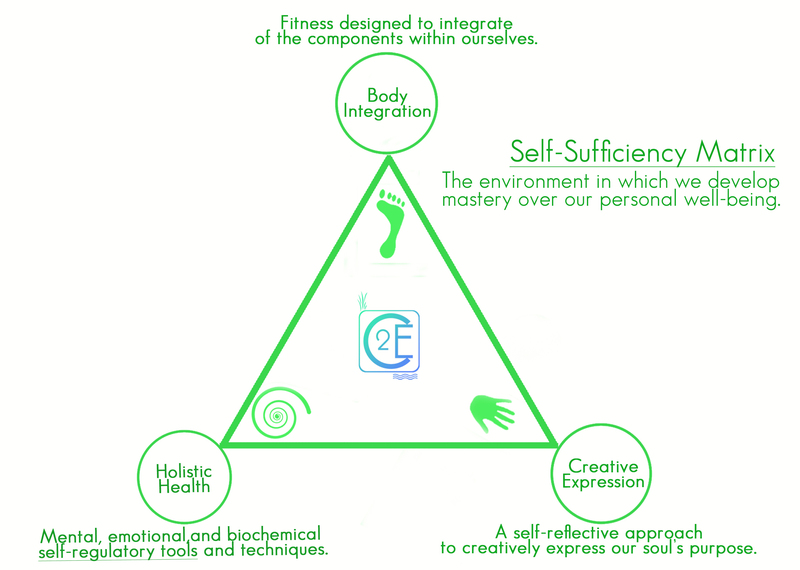 All we do at C2E is infused with our Well-Being Model, our guiding star to achieve a state of wholeness MOST of the time. After 6 years of research and development this template emerged, making accessible what might seem very complex. 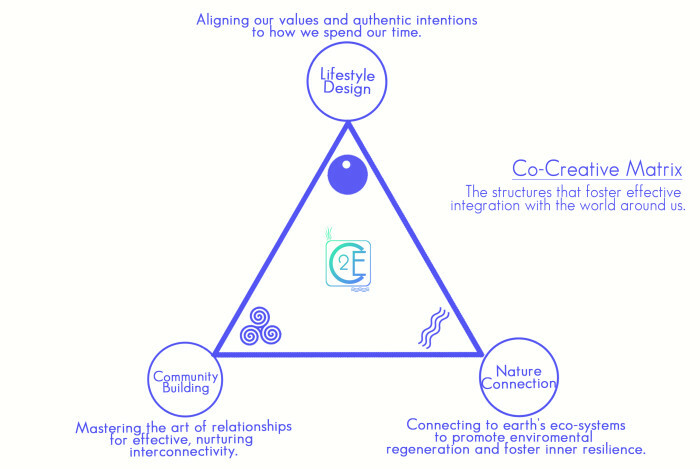 Below are info graphics with the lay out of C2E’s Well-Being Model. Every one of C2E’s experiences is designed with this educational model in order to assist all individuals ready to take full ownership of their health to achieve tangible wholeness MOST of the time, have a thriving community in order to expand beyond the ordinary, and become the change you want to be in this world.